A public Talk by Dame Helen Ghosh Director- General of the National Trust at Manchester University. China held a distinctive place in the European consciousness in the 18th and 19th centuries, and this was no more apparent than in the country houses and gardens that would come into the hands of the National Trust in the 20th and 21st centuries. At times admiring of China’s 4,000 year lineage of society, ethics and traditions, while at other times dismissive of a culture whose artefacts and their collection were viewed as no more than a “deviant obsession”, the British reflected their own ideas of China in the objects they bought and commissioned from the East. Dame Helen will discuss the influence that this fascination with China and Chinese objects has had upon the National Trust’s places and collections, and the people that shaped them, using case studies to draw attention to the complex and lasting impact of China in Britain. Dame Helen joined the civil service from Oxford University, where she read modern history. During her civil service career, Helen worked in a wide range of Government departments, working on a range of social policy issues, including child poverty, asylum and immigration, and local community regeneration. She also worked on key environmental policies, including climate change mitigation and adaptation, and the protection of habitat for endangered species. In the 1990s and early 2000s, Helen worked at the heart of Government, in Cabinet Office, advising on efficiency and propriety issues. 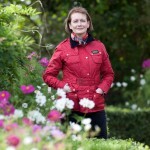 She spent seven years as a Permanent Secretary (CEO) in two departments, Defra and Home Office. 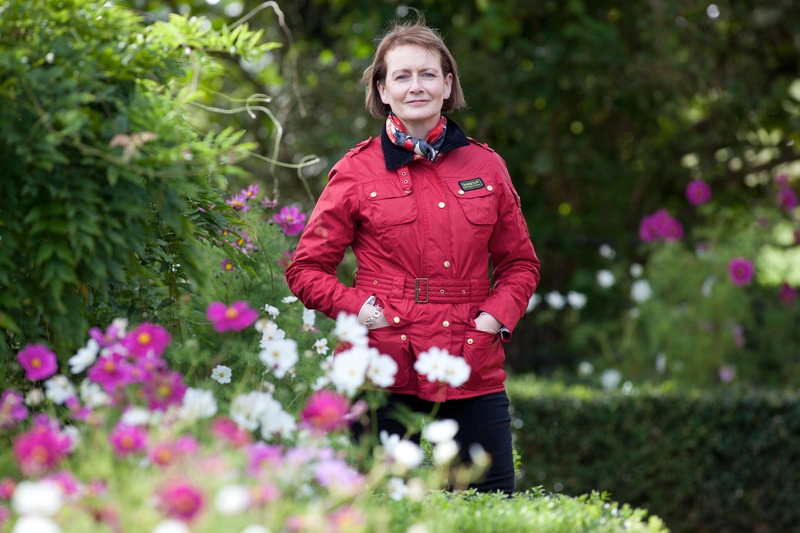 In late 2012, Helen moved to become Director-General of the National Trust, where her interest in history, people and places, and her commitment to the environment come together. For tickets please click here to register. A conference organised by British Inter-university China Centre (BICC) and the Centre for Chinese Studies (CCS) and to be held at the University of Manchester 12-13 May 2016. 2016 marks the bicentenary of Lord Amherst’s embassy to China. This episode of history seems to have been largely forgotten by historians of Britain and China, and has generated little scholarship. But the embassy is important because the delegates saw – in their eyes – a different China to that which had been described before: “Dirt, squalidness, and extreme poverty were as usual their leading characteristics. Their inhabitations were miserable beyond anything which England can exemplify … they looked more like the dens of beasts than the habitations of men” (Clarke Abel, 1819). The British were changing their opinion about, and soon their policy towards, the Middle Kingdom. Chinoiserie would soon lead to the “scramble for China”. 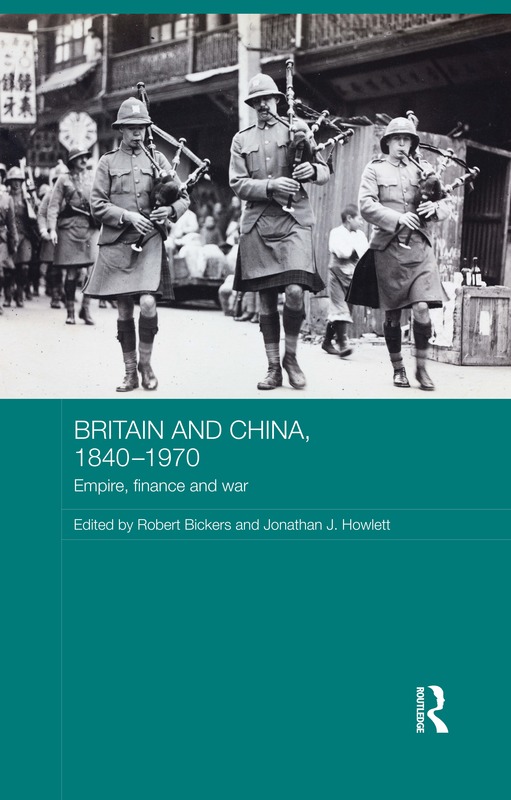 Although historians have studied “Britain in China”, they have largely ignored China in Britain after the heyday of eighteenth century Sinophilia, and before the darker turn in relations in the mid-nineteenth century. Tea gave rise to and also saw the decline of the Honourable Company. What is the social life of tea in the United Kingdom? How did increasing dependence on the China trade and the ascend of the “private English” lead to a change in public opinion and ultimately policy? What does this change tell us about British polity and society? We welcome historians/scholars of Britain and China to a debate that addresses the following issues in an effort to promote Anglo-Chinese, some might say Sino-British, studies. Inquiries and abstracts of no more than 150 words and 5 lines of biographical information should be sent to: sarah.coakley@manchester.ac.uk before 30 January 2016. Those accepted to present at the conference will be notified by 29 February. Accommodation and food will be provided during the conference. There is a modest budget for travel but priority will be given to PhD students. Web searches remain the predominant avenue for non-academic researchers seeking historical data or contextualisation. Yet online searches on the major topics that I have been researching and publishing on for years – famine, earthquakes and other types of disaster in East Asia – continue to produce next to nothing of much value or depth when performed by the general user (outside, that is, the subscription-walls of Jstor and other academic platforms). So a couple of years ago I held a workshop at Manchester where about a dozen historians from several continents were able to attend. What came out of it was the goal of making up-to-date and reliable information on the subject of disasters in Chinese history, currently beyond the reach of many outside academia, freely available online. We designed and built the site over the year, and a couple of us flew to a conference of anthropologists of disaster in Chengdu last month to formally launch DisasterHistory.org. Some users have described the site to me as a welcomed public service, but all involved also stand to benefit: making the research conducted here at Manchester and by colleagues around the world more easily accessible simply makes our work more relevant. That can only be a good thing. As for how soon the site will be high in Google hits? That’ll come with time. More than any other academic project I’ve worked on, DisasterHistory.org is all about colleagues volunteering their time and work. 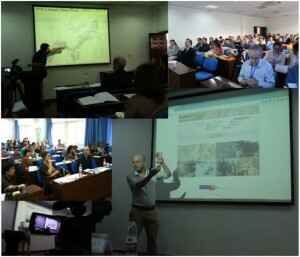 It grew out of a research network funded by the British Inter-University China Centre, and for the moment, the team of historians contributing are limited to those who have worked on disasters in Chinese history, but we hope to soon expand our content to cover other parts of the globe, to include other disciplines, and to use other languages, Chinese especially – although each of these (considering the complexity they add to site construction and functionality) might have to wait until a second stage of funding. For now I’m hugely grateful for colleagues, currently spread out in the UK, the US, Finland and China, for their ideas and contributions. But there is another added dimension that I’m particularly excited out. With additional financial support from the University’s Learning Enrichment Fund, last spring I incorporated an optional disaster research project into the course work for my first year module Modern China, with the idea that, subject to review by an expert in the field, student work could help populate the site with articles on more obscure disasters; the work of six UG (plus 2 PG) students now appears on the site, which is a great chance for students to showcase their work online, and for the site to broaden its coverage. As it grows in time as an informational platform and collaborative space, DisasterHistory.org should facilitate scholarly engagement with journalists and other professionals, possibly policymakers and practitioners, and the general public, while helping to shape future research questions and fostering projects that will meet practical and pressing needs beyond the academic world. We hope to build collaborative, data-pooling and data-mapping features into the site in order to foster opportunities for co-production of research by scholars worldwide, for example, on death counts and mortality rates, which in the case of famine are notoriously unreliable. Better not to end on that depressing note, though. I encourage anyone with work that might be related to disasters (broadly-defined) in any discipline, or who might know a colleague-friend who does, or anyone with ideas on any type of collaboration, to be in touch as we move into our next stage! BICC has a strong presence at the 2014 Annual Meeting of the Association of Asian Studies, which is taking place in Philadelphia on 27-30 March. (In Mandarin Chinese it is 费城: Feicheng). BICC researchers have organised four panels, and contribute to several others. Two BICC-funded films were also accepted for screening in the AAS Film Expo: ‘For China and the World‘, produced by Robert Bickers and Calling the Shots, and ‘China Dreams: The Debate‘, directed by Professor Wiliam Callahan. Dr Margaret Hillenbrand (Oxford) has organised a panel on ‘The Past and Present of Digital Culture in China‘, William Callahan has organised ‘China Dreams: Historical, Theoretical, and Policy Perspectives on the PRC’s Future‘, which explores in a multidisciplinary way the meaning of the concept ‘The China Dream-Zhongguo meng’ which was introduced by Xi Jinping soon after he was appointed the Secretary-General of the Communist Party of China in November 2012. This term struck a chord in China, becoming the “hottest term” of 2012 according to Beijing’s State Language Commission. Former BICC researcher Kelvin Cheung (The Hong Kong Institute of Education) is also presenting on the panel. Anna Lora-Wainwright (Oxford) has co-organised a panel with Yanhua Deng on ‘Protest and Policing in Contemporary China‘, chaired by Prof. Kevin O’Brien and with Prof. Guobin Yang acting as discussant. The panel examines contention and policing in contemporary China. It looks at various forces involved in protest control, including the police, work units, social ties, and information communication technologies (ICTs). It also highlights the range of strategies citizens use to fight back against repression, such as resorting to elite allies and ICTs-based mobilization. Focusing on one in-depth case study of high-profile resistance in a rural setting. Dr Rachel Silberstein (Oxford) has co-organised with Buyun Chen, of Swarthmore College, a panel on ‘Fashioning Textiles, Fabricating Fashion: The Technology of Cloth and Clothing from Seventh to Twentieth Century China‘, which explores how the production and consumption of textiles shaped fashion in Chinese history. Robert Bickers is participating in a roundtable assessing the impact and legacy of Paul Cohen’s 1984 volume Discovering History in China, while Professor Barend ter Haar (Oxford) is chairing another roundtable on ‘Literacy and Writing in Premodern China‘. Manchester network co-ordinators Pierre Fuller and Jane Caple are also presenting. Who are the old and new Christians that have emerged and what can they tell us about history, Mao and post-Mao China? Is the post-Mao emergence of Christianity true indigenisation because it is not missionary-imposed, but home grown and self-driven? What is the significance of the transition from “Christianity in China” to “Chinese Christianity”? Inquiries and abstracts of no more than 200 words, plus 5 lines of biographical information, should be sent to Rebecca Frost at rebecca.frost@postgrad.manchester.ac.uk before 5 January 2014. Those accepted to present at the conference will be notified by 31 January 2014. Accommodation and food will be provided during the conference but paper presenters should look for their own funding for travel. Following the success of our first workshop in Leicester in December 2012, we will be holding our main conference entitled ‘China’s Urban Environment, Past and Present’ at the University of Aberdeen on Thursday 16th-Saturday 18th January 2014. If you wish to offer a paper, please send a proposed title and an abstract of no more than 200 words to the BICC’s Project Assistant, Grania Pickard (Grania.Pickard@bristol.ac.uk) by Wednesday 20 November. Enquiries may be directed to Isabella Jackson (Isabella.Jackson@abdn.ac.uk). The British Inter-university China Centre (BICC) ‘Cultures of Consumption‘ network, supported by the Arts and Humanities Research Council (UK), will host the conference “Learning from Big Brothers” on 26-28 September 2013 in Oxford. Advance registration is mandatory and places limited. The conference brings together Central European and Soviet historians of everyday life with Chinese historians who are starting to work on similar issues for the Mao era (1949-76). The conference will form the foundation for a network of scholars in China, the EU, and the US who are interested in consumerism and everyday life in non- and quasi-market economies since c.1945. Creating a dialog between scholars of European and Chinese history will ensure that Chinese historians take into account the range and depth of important work that has been done in the past decade on the experience of socialism in Central Europe and the USSR. The first two panels will outline the conference agenda. The conference will open with a roundtable discussion led by East German historian Paul Betts, author of a recent article comparing consumerism across communist societies, and Steve Smith, the Oxford Handbook on the History of Communism, on the strengths and weaknesses of such social histories across national contexts. Their opening remarks will be followed by comments by two China scholars working on similarly comparative projects. And the second panel will discuss the new types of sources available and the types of histories now being written while attempting to answer the question: What are the methodological challenges of studying everyday life under socialism? 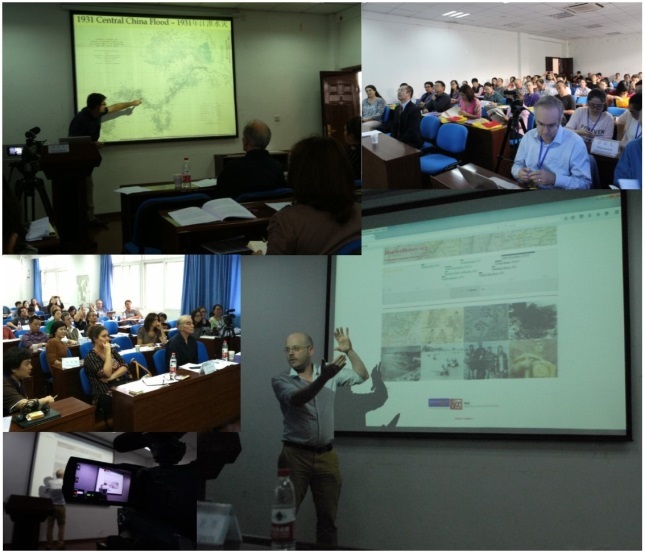 The subsequent five panels will provide explicit case studies, ranging from recently completed comparative studies by European historians to recently initiated projects by Chinese historians. Both sides will suggest how their findings might help shape the research agendas of the other geographical side. Frank Trentmann will discuss the challenges of comparing socialist and capitalist societies in his new book, The Consuming Passion: How Things Came to Seduce, Enrich, and Define our Lives. And Patrick Patterson will describe his comparative project on Eastern European consumerism with a talk entitled, “The Machinery of the Market in Communist Europe: What May Apply to Communist China?” The following three panels will consist of Chinese historians at the early stages of researching everyday life under Mao from home furnishing to shopping to diary-keeping, with brief presentations followed by comments by European historians who have already worked on similar topics. The call for papers for this Chinese 1950s Network conference has now been issued. The conference will be held at the University of York, 19-21 July 2013. Paper abstracts should be no longer than 300 words and panel proposals are most welcome. Contributors are requested to direct all correspondence to jon.howlett@york.ac.uk. The deadline for submission of proposals is Friday 22nd March 2013.